Although not every horse can become a dressage specialist, every horse can benefit from dressage training. The above quotation expresses the major theme of Jane Savoie's Cross–Train Your Horse as well as the companion volume More Cross–Training. 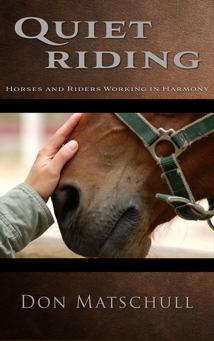 The first three chapters of the first book are filled with examples of people and horses from various disciples—cross–country, barrel racing, cutting, endurance, jumping, driving—who incorporate the principals of dressage in their training. According to the American Horse Show Association (AHSA) rule book, the ultimate purpose of dressage is the harmonious development of the physique and ability of a horse. It makes a horse calm, supple, attentive and keen, thus closer to achieving perfect understanding with his rider. While the second cross–training book is meant to build on the first, this first book alone can be of great help to most readers. The book sets forth the principals of dressage training and presents ways of achieving good form in the basic paces and movements important in the development of any horse. 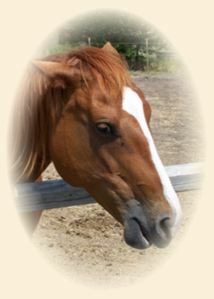 The rider, says Savoie, should understand aids as aiding or helping the horse to understand rather than as rigid commands. In this regard, she stresses that proper training takes time. Think in terms of months and years, not days and weeks. When training is correct, the basic paces always improve. When training is incorrect for whatever reason—harsh gadgets, front to back riding that focuses on the position of the horse's head and neck and ignores the hindquarters, shortcuts—the quality of the paces degenerate. if you're having difficulty with a particular movement or exercise, the cause of the problem is almost always found as a fault in the Basics. Cross–Train Your Horse deals with understanding and applying the Basics. It also deals with using the Basics to correct faults in a horse's movements. Dressage can take the most common animal as well as the truly gifted athlete and help both of them to move more expressively.